The Bitcoin Stash team is comprised of a group of former Bitcoin Cash developers and community members that have become dismayed at the current outlook of BCH. We are sure that you are aware, but a multitude of factors show that there is disaster on the horizon for Bitcoin Cash. Bitcoin ABC is proposing a contentious hard fork for no reason, Craig “Faketoshi” Wright is moving ahead to fork his own coin (Bitcoin SV) out of self interest, and Bitmain has revealed an extremely large BCH holding which they intend to rid themselves of in their now controversial IPO. As we see it, a price and hashrate collapse of the chain is inevitable. We have decided that we must take action now, to rid ourselves forever from the bad actors that plague this chain. We are planning to hard fork from Bitcoin Cash on November 15th. With the hard fork, we will not be increasing the maximum block size or following the tokenization/ICO platform roadmap of Bitcoin ABC. However, Bitcoin Stash will be implementing replay protection and continue using the SHA-256 mining algorithm. Additionally, Bitcoin Stash will incorporate merged mining with Bitcoin and Bitcoin Cash. With merged mining, Bitcoin Stash will solve the security issues that currently hamper Bitcoin Cash. As a minority chain, Bitcoin Cash is struggling to obtain substantial hash rate, and this has only been made worse following its recent decline in price. As of 9/25/18, the hash rate of Bitcoin Cash only totals about 6% of that of Bitcoin. The Bitcoin Cash hash rate has been continuously declining ever since a peak of roughly 15% of Bitcoin’s back in May of 2018, and we do not see this situation improving. Merged mining will lead to Bitcoin Stash obtaining a much needed higher hash rate since the chain will consist of Bitcoin, Bitcoin Cash, and Bitcoin Stash miners. As a result, there will be three benefits that will be immediately realized. First, Bitcoin Stash will be less susceptible to a 51% attack which has recently plagued other chains such as Bitcoin Gold and Verge. Second, a single entity such as Jihan Wu’s Bitmain or Craig Wright’s CoinGeek will have a difficult time forcing any consensus breaking changes as they now must muster a much higher hash rate to do so. And thirdly, merged mining will also increase security on Bitcoin since miners will see greater profitability and will no longer have to choose between mining one chain and missing out on the other. Because of this, Bitcoin Stash will not only be a more secure and decentralized version of Bitcoin Cash, but it will also benefit the current miners of Bitcoin and Bitcoin Cash. After the fork, Bitcoin Cash holders will be able to obtain an equivalent amount of our coins if they hold the private keys to their wallet. If they do not, we will release a list of exchanges supporting Bitcoin Stash as the hard fork approaches. We will also have more exciting announcements to make regarding the technical features of Bitcoin Stash, so please follow our Twitter (@BitcoinStash), Instagram (@BitcoinStash), Medium (@BitcoinStash), and continue checking our website https://bstash.org. Please join our Telegram channel! We will try to answer any question. We are looking for mining pools to test our merged mining with Bitcoin and Bitcoin Cash. As of approximately 7:30 PM GMT on November 15th, 2018, we are pleased to announce that Bitcoin Stash has officially hard forked from Bitcoin Cash! With each passing day, as the true value of cryptocurrencies become better understood, the threat of 51% attacks on the Bitcoin Cash network becomes more imminent. Corporate and private interests, combined with greed and incompetence has corrupted the security of the chain. Bitcoin Stash will provide the solution through merged mining with both Bitcoin and Bitcoin Cash. Additionally, Bitcoin Stash will offer replay protection to protect our chain against replay attacks. Bitcoin Cash has imploded into a hash war between Craig Faketoshi Wright’s Bitcoin SV and Bitmain’s Bitcoin ABC. Faketoshi plans on executing a 51% hash rate attack on the ABC chain, mining empty blocks and wreaking havoc. We are not certain when or how long this attack may occur, but we do believe it is imminent. Bitcoin Stash stands against the block size increases implemented by SV and the fraudulent activities of Wright. Additionally, we believe that the leadership of Bitmain, Roger Ver, and Bitcoin ABC can no longer be relied upon, as they were the ones who welcomed Faketoshi with open arms. While Bitcoin SV was plotting their takeover, the leaders of Bitcoin ABC were busy going to boat parties with Faketoshi and developing useless ideas like tokenization platforms and instant transactions. At this point, it seems like almost no one knows what will be the result of the Bitcoin SV and Bitcoin ABC drama. No matter what happens with either of those, Bitcoin Stash will have a purpose since our merged mining will provide more incentive for miners and increase security and decentralization with a higher hash rate. Moreover, Bitcoin Stash should not encounter double-spending issues, as we will not be supporting 0-confirmation transactions. As a result, Bitcoin Stash is here to stay and will continue to be useful in the future with or without Bitcoin Cash. Bitcoin Cash holders prior to our fork will be able to obtain an equivalent amount of Bitcoin Stash if they hold the private keys to their BCH wallet. Future exchange support will also be a continual focus for our team moving forward. Please visit our website https://bstash.org to find further instructions on claiming or mining Bitcoin Stash. Our source code is available at https://github.com/bstash/bitcoinstash, with binaries to follow. Also, please join our Telegram, follow our Twitter (@BitcoinStash), and continue checking our website for updates! Feel free to reach out to any of our official accounts with any questions. Happy Fork Day! Now you can start mining Stash coins! Feel free to mine as many Stash coins as you want! We will try to list Stash on many exchanges soon. I wish you guys the best of luck. Anything to support the freedom of the little guys. (11-20-2018, 04:56 AM)Rox Wrote: Awesome! Our Mac version wallet is coming very soon! after that, we will list Stash on exchanges. Uncompress the downloaded zip file (.tar.gz file for Linux) and double-click on bitcoin-qt file under the bin folder to run the Bitcoin Stash GUI Wallet. This release fixes a major bug where nodes would fail the initial block download. Update is required for your node to stay in sync when offline for a long length of time or when downloading the blockchain for the first time. Bitcoin Stash is a merge mineable cryptocurrency that utilizes SHA256 for its mining algorithm. This means that it can be merge mined with other SHA256 coins like Bitcoin an Bitcoin Cash. Merge mining is a process where a miner is able to mine multiple cryptocurrencies at the same time. All that is required for a miner is to add 48 bytes of data to the coinbase of the parent block. Bitcoin Stash will be implementing replay protection to keep our transactions safe post-fork. 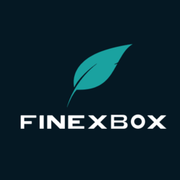 Bitcoin Stash is now listed on FinexBox! If you haven't done so, please download our Stash wallet from a link below, import your old BCH private key to claim your Bitcoin Stash coins! All BCH users who had BCH on or before November 15th, 2018 are eligible to receive equal amount of Bitcoin Stash coins for their BCH holdings.